It’s one of those things that all dog owners have to stress & worry about and eventually face head on after bringing their new family member home; the first time they have to leave them – home alone. 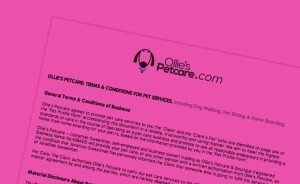 It’s unfortunately inevitable for most & a stressful time for both you and your dog and although we’d love to have the opportunity to bring Ollie & Penny everywhere with us (…we’re quite fortunate as Penny comes to work with me in Ollie’s Petcare every day! ) it’s just not possible all of the time and they have to be left home alone at some point. Ollie being more comfortable in his own environmental and currently not up to long walks is left home alone more than Penny. We’d like to think he’s not bothered at all by it and sleeps the day away, we just aren’t 100% positive what he gets up to! Penny is very rarely left home alone, all be it with Ollie. But when she is she doesn’t handle it well and gets quite stressed out. 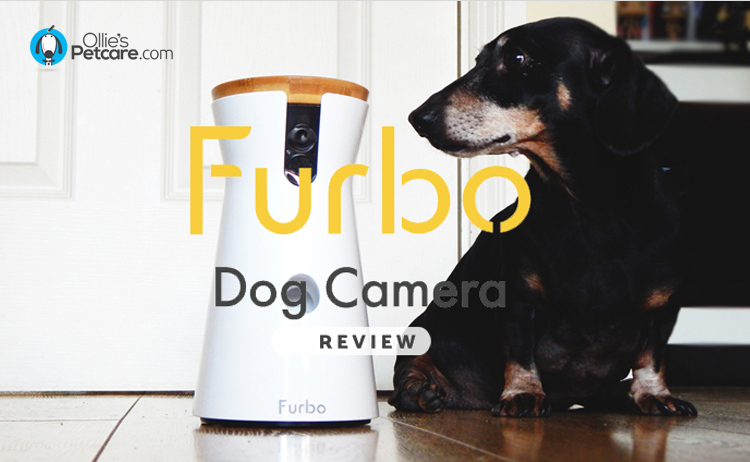 So when Karkalis Communications asked us would we like to try out the Furbo Dog Camera as part of their upcoming Black Friday promotion, we jumped at the chance – having seen & read about them before and eager to see what the sausages get up to. 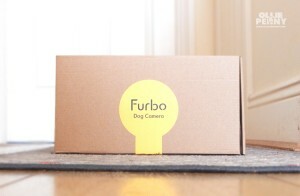 If you haven’t heard of the Furbo Dog Camera before then let us give you a quick rundown of its features and what it actually does. The Furbo is a smart dog camera that not only allows you to see your dog from anywhere via an APP on your mobile, but it also allows you to interact, talk to and even give them a treat! Yes, you can actually toss your dog a treat via the Furbo! How cool is that! The camera itself comes in full HD and has a wide 160 degree angle. 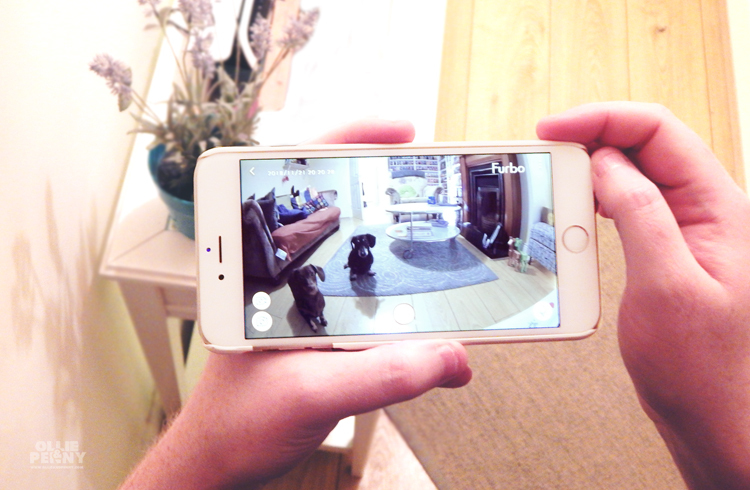 It also features an infrared night vision mode so you can look after your pets at any time of day or night. On top of everything it looks very stylish and is designed to sit right in along with your own decor without standing out. The Furbo arrived to us a few days ago in a brown cardboard box with a elegant yellow Furbo sticker on one side. Both Ollie & Penny eagerly woke up to help us open it. Thanks guys! Inside you’re met with the device itself and a smaller box with the power cable and adaptor, all very neatly packed and ready to go. It looks super cute and stylish and it was very quick & easy to setup, for the technically challenged amongst you – of which I dip in and out of regularly these days. First you need to plug it in, wait for a few flashing lights, then connect it to your wifi. 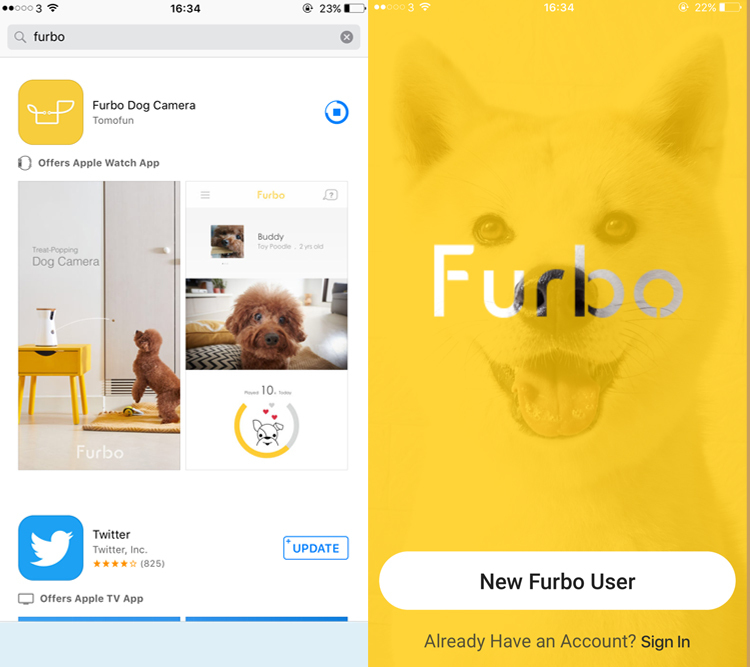 Finally you need to pop on your mobile app store and download the Furbo app and create an account. The app then connects your account to your Furbo and you’re ready to go! Once we got the Furbo all set up, which literally took 5 minutes, we were dying to try it out with Ollie & Penny. We set it up at one end of our living room so it could take in the best view of the room with their beds and also the adjacent hall. Both sausages were quite intrigued with the new item in the room – as always. We popped on the app and were first quite surprised at just how clear the picture quality is and how the camera manages to take in the majority of the room with its wide angle lens. As well as being able to hear & talk to your pet and zoom in to get a better look, the app also features options for you to take a photo or video of your pets on screen while you are watching them! Very nifty and perfect to catch them when up to no good – if they are anything like Ollie & Penny! 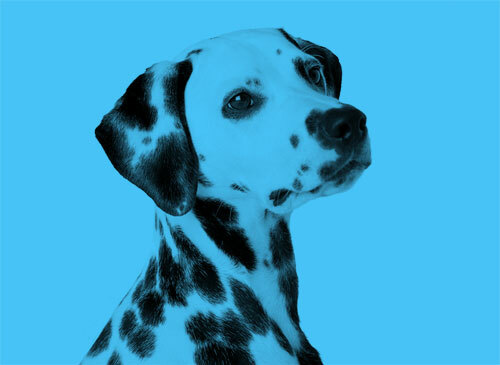 We’d finally like to mention a feature that just makes the Furbo a must have – real time ‘Barking Alerts’. One of the features that we have been itching to try is ‘Toss a Treat’. As we briefly mentioned above you can actually give your pet a treat via the Furbo. Just pre-fill the device with your pets favourite treats (…you do get some complimentary treats included with the Furbo! ), which in Ollie’s case is anything! It’s then ready for you to dispense to your pet via the app as you wish. If your pet needs a little enticement to get a treat you can also record a message that will play when the treats are given out. The app also keeps track of how many times you’ve treated you pet – very handy. We’d finally like to mention a feature that just makes the Furbo a must have – real time ‘Barking Alerts’. When activated the Furbo will alert you via your phone when there are any loud noises or barking at home. This enables you to check in on your pet to make sure they are OK and not distressed. If needed you can then talk to your pet and calm them down or even toss a treat to reassure them. So how did Ollie & Penny get on? We’ve only been testing the Furbo for a couple of days now and haven’t really had enough time to evaluate it fully, with both Ollie & Penny. We have left Ollie home alone with his new pal a couple of times. We’re pleased to say he doesn’t seem to get too stressed out by our absence. He likes to play with his Kong & K9 Connectables before retiring to his bed for a nap the majority of the time. On one occasion he was barking and the app alerted me to this. A few treats quickly distracted him! Well done Ollie!! Overall we really love the Furbo and will continue to use it daily when we have to leave one or both of the sausages home alone for whatever reason. We’d go as far as to say we don’t know how we managed without it. 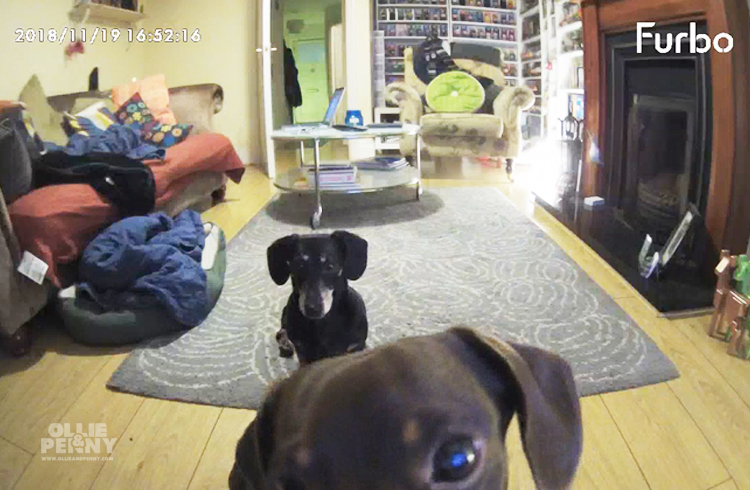 We were a little worried initially about what we would see the wieners getting up to on camera and whether or not it would make us more anxious when leaving them home alone. You could say ’ignorance is bliss’ but after testing it out for this review we have to admit that it really does provide peace of mind knowing that I can check in on them whenever I need to. Yes it is a tad on the expensive side but can you really put a price on something this valuable that alleviates stress for both pet and humans? 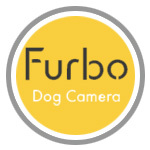 If you’re interested in keeping an extra eye on your pooch and getting a Furbo for yourself, they will be available for the reduced price of £129 on Black Friday the 23rd of November via Furbo.com or Amazon. They are usually priced at £249 RRP – so the reduced price is a real bargain! 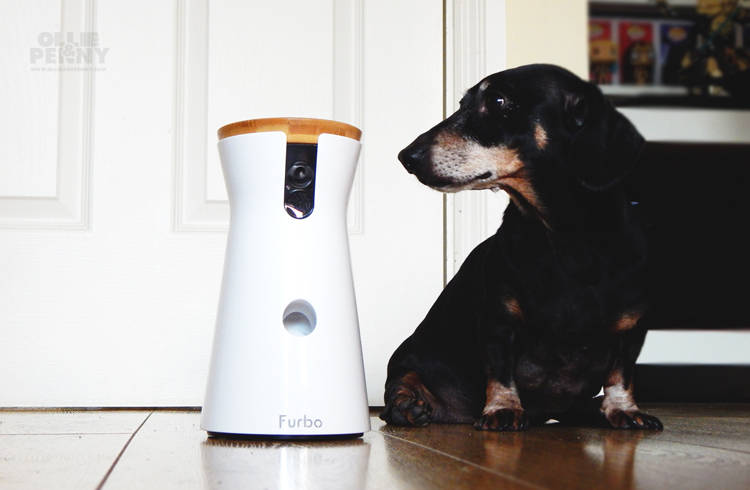 Do let us know if you try the Furbo with your furbabies, we’d love to hear how you got on and see some photos & videos! Tag us on Instagram! *Thanks to my post sponsor, Furbo/Karkalis Communications, for gifting us the Furbo and enabling us to write this post today! So is it dog walking weather in Dublin today? Take a nosey above to see what the weathers doing at the moment in the fair city. If its snowing we’re staying in bed! Penny just ❤'s all of these products! She has tested them rigorously over on her website. Do stop by and say hi to them from us! Join Ollie & Penny with their own musings and take on the world over on their own blog! Reviews, news and giveaways from our two sausages!